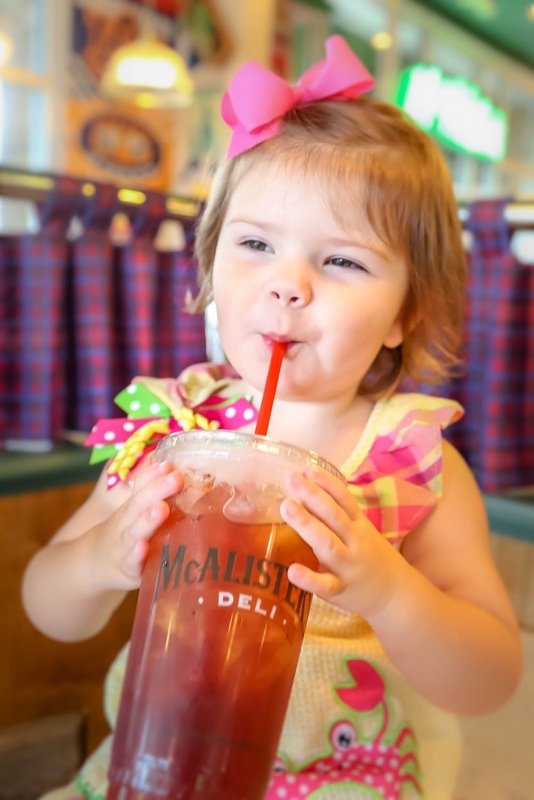 Are you a McAlister's Tea Freak like my cute little friend, Lenley? If so, you must enter their Instagram contest for a chance to win $5,000!!! I don't know about you, but I think McAlister's tea is absolutely perfect. It is the perfect strength, it has the perfect tea to ice ratio and the lemon puts it over the top. 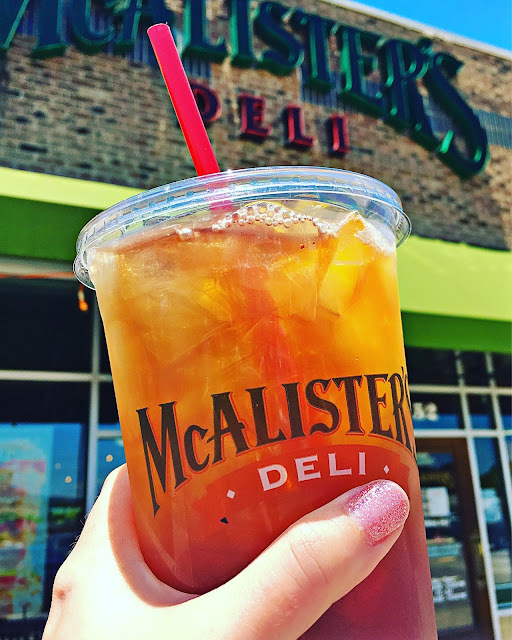 If you like iced tea and you haven't had McAlister's tea, you are really missing out! It is the perfect summer drink!! McAlister's Deli is looking for the biggest tea freaks in the nation. They are giving you a chance to win $5,000!!! I have to warn you though; you've got your work cut out for you! 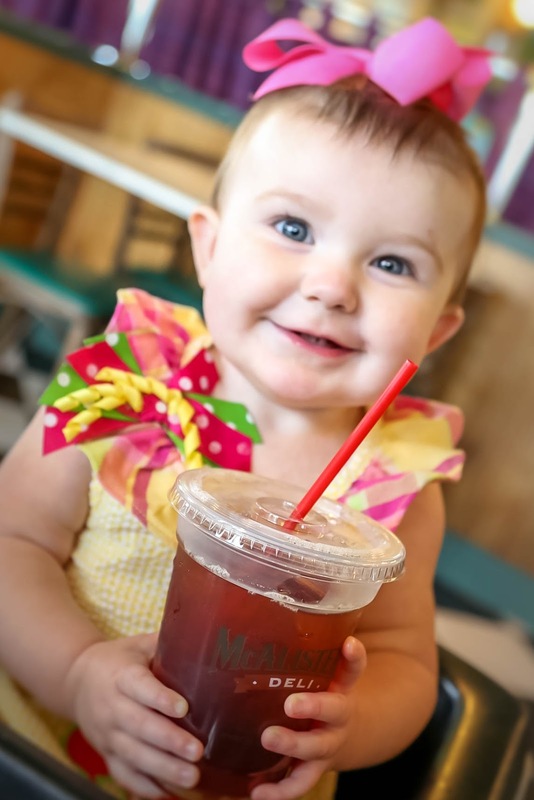 Miss Lenley and Miss Avery are two of the cutest McAlister's Tea Freaks I've ever seen!! 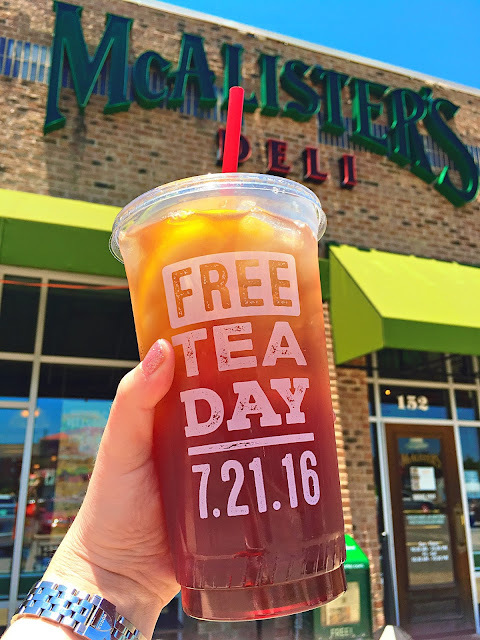 On July 21st, McAlister’s will be having its Free Tea Day where any customer can go in and grab a sweet tea…for FREE!!! I'll be there! Will you?!?!?! This is a sponsored conversation on behalf of McAlister's Deli. All options and photographs are mine. Our McAlister's closed a couple of years ago, and we miss it so much! Which is really sad because it was always busy. What I understand is the property was not owned by the company and there were problems with the lease :-( Enjoy your tea. It is by far, the best sweet tea around.